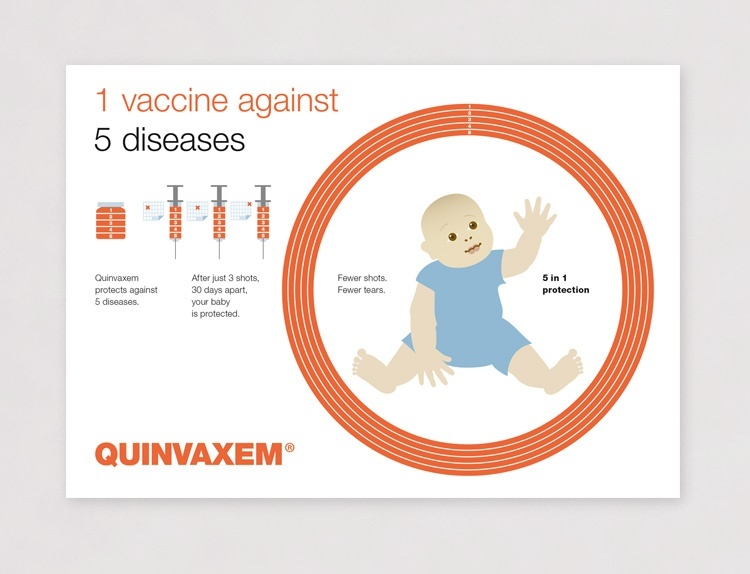 The Quinvaxem vaccine protects young children in developing countries against five deadly childhood diseases at once. 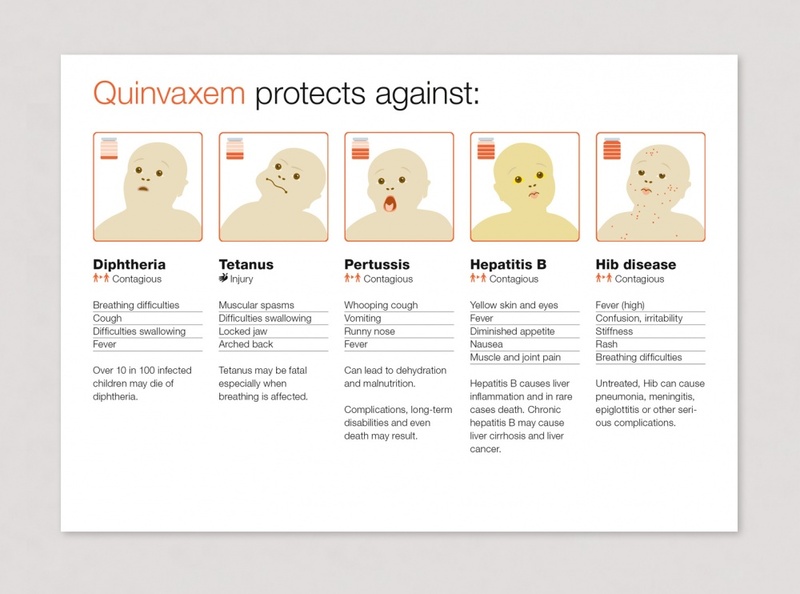 Appear worked closely with medical writer Roger Aeschbacher to develop flyers local healthcare workers can use to explain the vaccine to parents – increasing both trust in the vaccination program and its success rates. 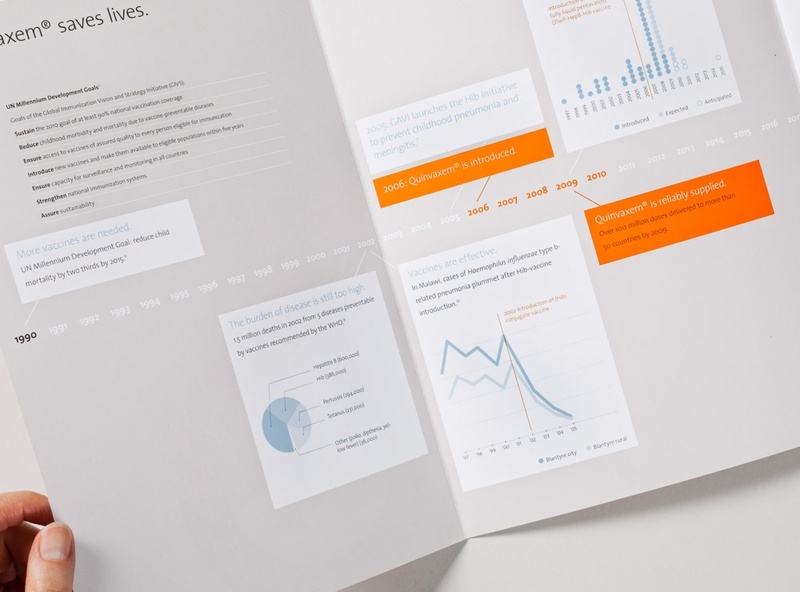 The flyers use illustrations and a minimum of text to convey the most important messages. They are designed to fit easily into the portable vaccine coolers health workers use in the field. 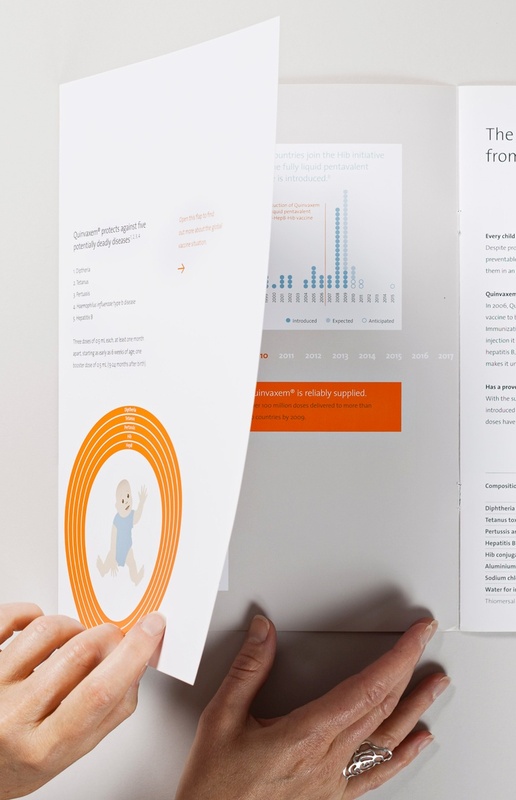 The flyer was so well received that we were asked to develop key marketing material for the product. Workshops to define key messages; concept and development of infographics, flyers, product brochures, packaging and slide packs.